After Estrin’s passing, Carroll Kemp continued to lead a team including business partner Richard Crowell to improve the quality and character of the Red Car wines in his honor. 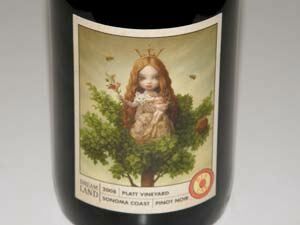 The initial winemaker was Tim Spear who left to concentrate on his Clos Mimi label. 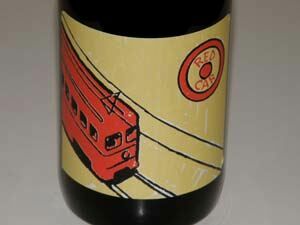 In 2004, Sashi Moorman (Stolpman) and Chris King (Lewis Cellars) came on board the Red Car as consulting and assistant winemaker respectively. 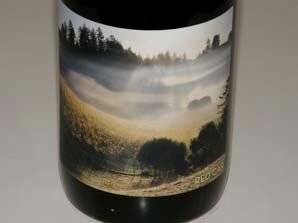 Eventually Kemp took over the winemaking completely and the wines have achieved new heights of elegance and finesse. The Amour Fou Pinot Noirs were blends. 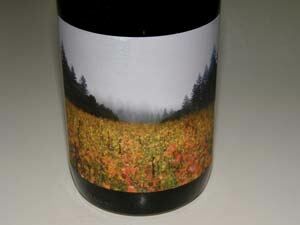 The initial partners, Carroll and Mark, were not “terroir-istes” at the start. They believed in making the best wines they could from more than one vineyard source. 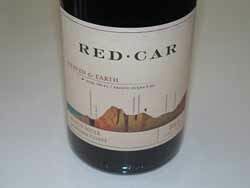 In 2004, Red Car Wine Company raised enough investment capital to buy 128 acres along the Sonoma Coast and vineyards developed but did not change Red Car’s commitment to “single vineyard-istes.” Carroll says “we now prefer Pinot sites that are on the cool climatic edge. This allows us to obtain boldly ripe fruit that is still balanced with the zing of acidity. In California, this happens in Western Sonoma County or ‘West County’ in local-speak. 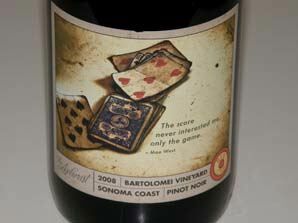 Our new sites in the ‘true’ Sonoma Coast will give us another step forward when our ‘05s are released.” Their first vineyard-designate Pinot Noir, The Aphorist, was released with the 2005 vintage (see below). The style of winemaking evolved over the subsequent 12 years. Mark and Carroll produced their first two barrels of Syrah essentially in Carroll’s Beverly Hill’s garage and these were powerhouse wines. The initial vintage of Pinot Noir in 2002 was made like their Syrah and was quite popular with the press and Parker who preferred big, extracted Pinot Noirs. The focus now has reversed and the Syrahs are made more like their Pinot Noirs (the Syrah program was discontinued at one point but later revived). The Pinot Noirs gradually became crafted with more subtlety and complexity in mind. The single vineyard Pinot Noirs from the true Sonoma Coast in 2008 and 2009 took the transition further and showed more nuance, balance and character. 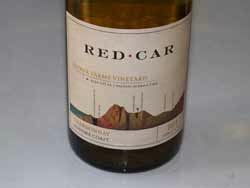 Red Car currently owns 43 acres in the west Sonoma Coast that is managed by viticulturist Greg Adams. 100% of the 10,000 case yearly production is estate grown. 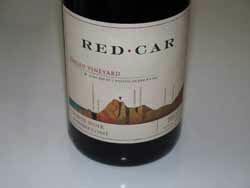 Red Car Wine Company Pinot Noir, Syrah and Chardonnay wines are sold primarily through a mailing list. There is limited restaurant and retail (mainly Los Angeles) distribution. 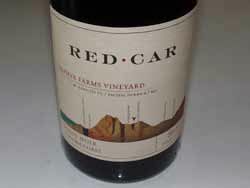 Red Car has a modern tasting lounge in Graton on Gravenstein Highway which opened in 2011. The website and newsletter are very impressive and the informative labels are among the best in the business. 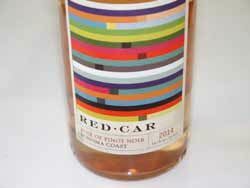 Articles About Red Car Wine Co.